First Light’s MultiPath technology addresses a uniquely wide range of infectious disease applications and targets. The platform rapidly and sensitively detects sources of infection, identifies pathogens, and determines antimicrobial susceptibility. The technology can detect bacteria, fungi, parasites, human cells, viruses, toxins, and disease biomarkers. Each year about 75,000 people in the U.S. die of life-threatening infections such as blood, respiratory, surgical site, urinary tract, gastrointestinal, and blood infections(1). These devastating diseases are caused by a broad range of pathogens, many of which are difficult to treat because they are multi-drug resistant. Today’s Antimicrobial Susceptibility Testing (AST) methods for determining appropriate antibiotics to treat a patient’s specific infection are too slow. The current culture-based methods take days to get AST results, so that patients must be initially treated empirically with broad spectrum antibiotics. These antibiotics are likely to be suboptimal and they can further the spread of antibiotic resistance. Current “Rapid AST” technologies on the market and in development have limitations including low throughput, high cost, and an inability to determine AST for polymicrobial infections or non-sterile samples (which include) the majority human samples. The ideal AST test should be accurate, rapid, automated, high-throughput, cost effective, and applicable to any type of patient sample. First Light’s MultiPath™ technology provides pathogen identification in 30 minutes and phenotypic antimicrobial susceptibility (AST) results in 4 hours direct from patient sample, enabling treatment decisions 1-2 days faster when compared to traditional AST approaches taking up to 72 hours. “Direct from specimen” testing: This eliminates the time-consuming culture step which can save 24 to 48 hours. Ultra-sensitive detection: Our test can detect antimicrobial resistance faster because our technology detects the low number of cells that may be present in an uncultured patient sample. Selective detection: Patented MultiPath technology is unaffected by samples containing multiple species of pathogens, contaminating microbes, and sample matrices. Automated: The MultiPath™ platform is a fully automated sample-to-result solution that can perform up to 20 AST tests simultaneously, dramatically improving throughput and workflow compared to phenotypic “Rapid AST” systems where typically only a single test can be performed during the same time period. First Light’s rapid AST testing technology will address all the major types of hospital-associated infections including sepsis, ventilator-associated pneumonia, catheter-associated urinary tract infection, surgical site infections, and gastrointestinal infections. 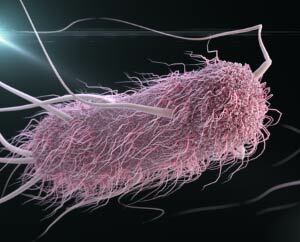 We are also developing a novel test for the common urinary tract infections that occur outside of the hospital. Like the CAUTI test for hospitals, this UTI test aims to ensure that patients in the community who are seen in physician offices or clinics receive effective antibiotics at the onset of the infection. Many infections are diagnosed not by detecting cells but by detecting key molecules. Examples of important non-cellular diagnostic targets include viruses, disease-causing toxins, and biomarkers that indicate a disease state. For example, accurately diagnosing infections caused by Clostridium difficile, the pathogen the causes the most hospital infections, requires detection of a protein toxin. There is a need for tests for toxins, biomarkers, and viruses that are rapid, ultra-sensitive, specific, easy-to-use, and affordable. For example, there are significant problems with the C. difficile diagnostic tests on the market today. Enzyme immunoassay (EIA) tests for the toxins are specific for disease, but lack the necessary sensitivity to be used as a stand-alone test. Molecular tests, (NAAT or PCR) are highly sensitive but a lack specificity due to their inability to distinguish colonization from active infection. 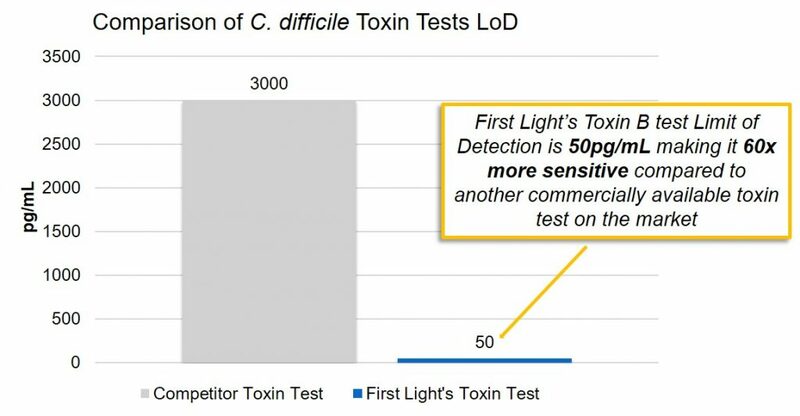 Ultra-sensitivity: The First Light test is up to 60 times more sensitive than other toxin tests on the market*, allowing for detection of toxin at levels corresponding the clinical thresholds for C. difficile infection. Specificity: Our test can achieve high specificity because it detects the toxin that causes C. difficile infection. In contrast, rapid genetic tests lack specificity because they detect the presence the C. difficile bacterium – even when it is in the benign spore form which colonizes patients but does not produce the toxin or the active infection. Easy-to-use: The test ultra-sensitively detects C. difficile toxin directly from stool samples – one of the most complex and difficult samples with which to work – with no additional processing steps. Rapid: With a 30-minute test time, this is faster than genetic tests which typically take over an hour to perform. By using our test, hospitals will be able to quickly identify the infection and take specific steps to address it, avoiding over-treatment and over-diagnosis which plague current genetic tests that cannot distinguish between true infection and patient colonization. Traditional culture-based screening tests for superbugs require a day or more to deliver results. During this time, a patient may become infected or transmit the superbug to other patients. The slow time to results decreases the effectiveness of infection control precautions including patient isolation, gloving, and gowning. Genetic methods for superbug screening are rapid, but are expensive compared to culture-based methods. These expenses can be particularly burdensome to hospitals because they may perform large numbers of superbug screening tests and the costs are borne by the hospital not the payer. 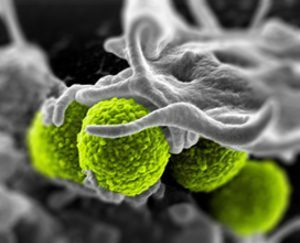 Some of the most dangerous superbugs –CRE, for example – are genetically complex. That is there are many genes and sequences that lead to the resistance. 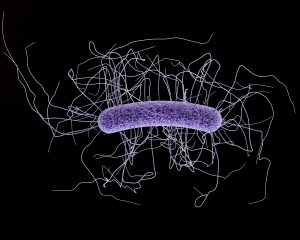 For these superbugs, genetic methods have the potential to miss new versions of resistance mutations which can arise rapidly. Finally, some of the genetic test platforms are not designed to accommodate the large numbers of tests required. First Light’s MultiPath platform enables rapid, high-throughput, and cost-effective patient screening tests for a wide variety of superbugs. In contrast to current rapid genetic methods, our technology is not confounded by the multiple genes and mutations that cause resistance. This is because our tests determine resistance phenotypically, that is, by determining whether the antibiotic stops the cells from growing. This approach works well even if the genetics of the resistance mechanisms is very complex. Our first screening test is for methicillin-resistant Staphylococcus aureus (MRSA), a bacterial pathogen that causes a large fraction of life-threatening hospital infections and is resistant to commonly used antibiotics. Other tests in our development pipeline include tests for Carbapenem-Resistant Enterobacteriaceae (CRE) and Vancomycin-Resistant Enterococci (VRE).